( Jan 16, 2016) Like the central London outlets this was a good place to shop during the 80's and 90's. They would have a good selection of specialist vinyl and CD's happily coexisting with mainstream MOR. I think they hired specialists like independent shops and as a result they could cater to specialist buyers like myself. They also had listening posts including turntables. Bought some great stuff here over the years across various genres. Favourites would be The Ragga twins "reggae owes me money" SuperCat "sweets for my sweet" Omini Trio "Renegade Snares" Pete Rock and CL Smooth "the main Ingredient" to name but a few. Then some idiot took over the business in the 00's and got rid of all the specialists and listening stations and decided to only stock main stream MOR garbage and ran the company into the ground. 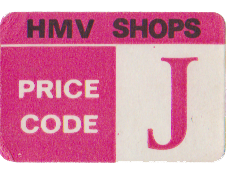 If you go into a big HMV today in any large city or town you can see that they may be trying to move back towards what they once were but they aren't there yet thats for sure. Comment: digital killaz.